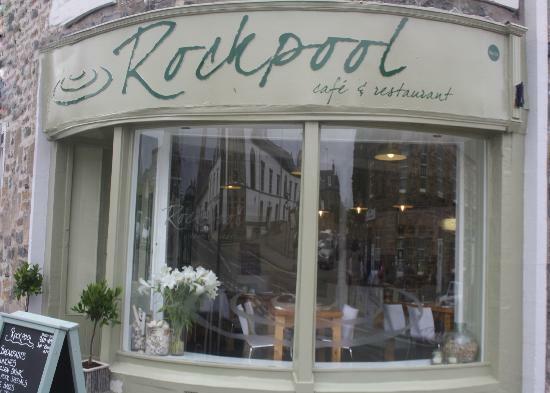 Set in the main square of the beautiful coastal town of Cullen, with free parking right outside, Rockpool is the perfect place for a stop off or to simply relax, sit back, enjoy the food and watch the world go by. With its brand new look, Rockpool has a real fresh, contemporary and sea-side feel. Owners Steve and Carrie have worked hard to create a family friendly environment which can be enjoyed by both tourists and locals a like. Here at Rockpool we serve a wide selection of food from breakfasts, soups ,our trademark Cullen Skink, lunches, children’s meals and a wide selection of delicious home bakes which are all made on the premises. There is also a Specials Board which changes daily and usually features fresh local seafood. Everything is served in a unique and quirky style, which adds to the experience. Our coffee supplier is Mathew Algie, the uk’s leading independent coffee roaster who boasts to sell the finest and freshest coffee beans available and sells only fair trade products. We have a great selection to choose from and offer our customers a loyalty card where every 6th hot drink is free.